Route K1 (in its current incarnation) started in 1987 as a partial replacement of route 152 between New Malden and Surbiton. The 152 had run from Mitcham to New Malden, then via Kingston By-Pass to Tolworth, Red Lion Road, Thornhill Road and Upper Brighton Road to Surbiton Station. It was diverted at New Malden to run to Kingston via Cambridge Road, and the K1 picked up the routeing to Surbiton. However, instead of running straight along Kingston By-Pass it was diverted to serve the local roads of Malden Manor and the Sunray Estate. Initial operation was by Westlink from Kingston garage, using new MCW Metroriders with "Kingston HOPPA" branding – a little inappropriate given that the route did not serve Kingston! In 1990, the route was cut back a short distance in New Malden, from the "Adult Training Centre" in Burlington Road to the Fountain Roundabout. 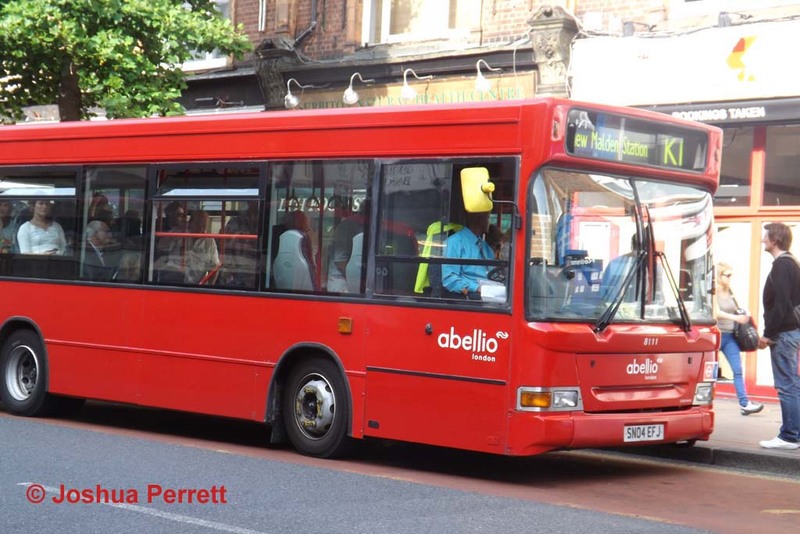 The route finally reached Kingston in 1993 when it was extended from Surbiton via Villiers Road, replacing route 71 which was then able to take the more direct route via Penrhyn Road. Unlike the rest of the route, this new section ran on Sundays. Further significant changes took place in 1996 following purchase of Westlink by London United. Operation was transferred to Fulwell with larger Dennis Dart buses. 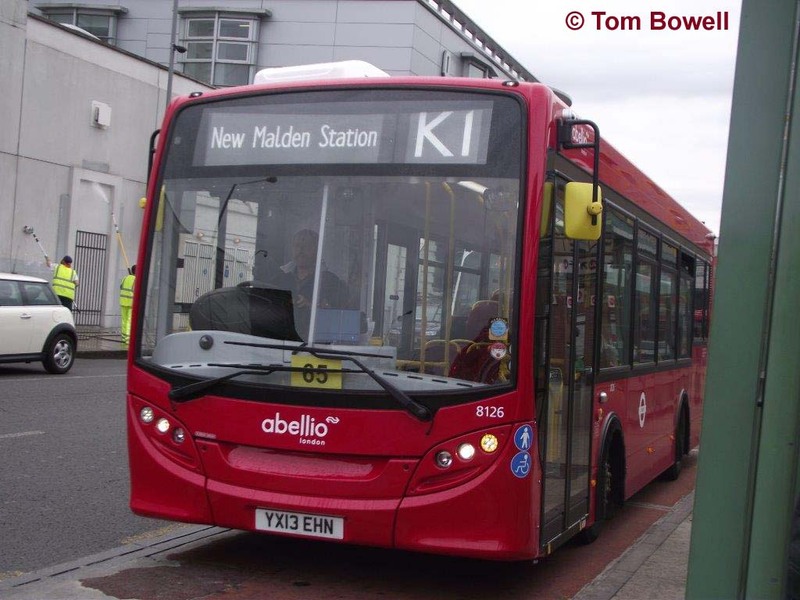 A full Sunday service was introduced, and the service was extended in New Malden to New Malden Station, with buses unusually turning by swinging round the (largish) mini roundabout at the junction of High Street and Dukes Avenue. An additional schoolday return journey was introduced between New Malden and Southborough School in Hook (near the Ace of Spades roundabout on the A3). The morning journey has since been discontinued, but the afternoon one still runs. New low floor Mini Pointer Darts were introduced upon contract renewal in 2001, and the route was one of those to inaugurate the new Tolworth garage that year. 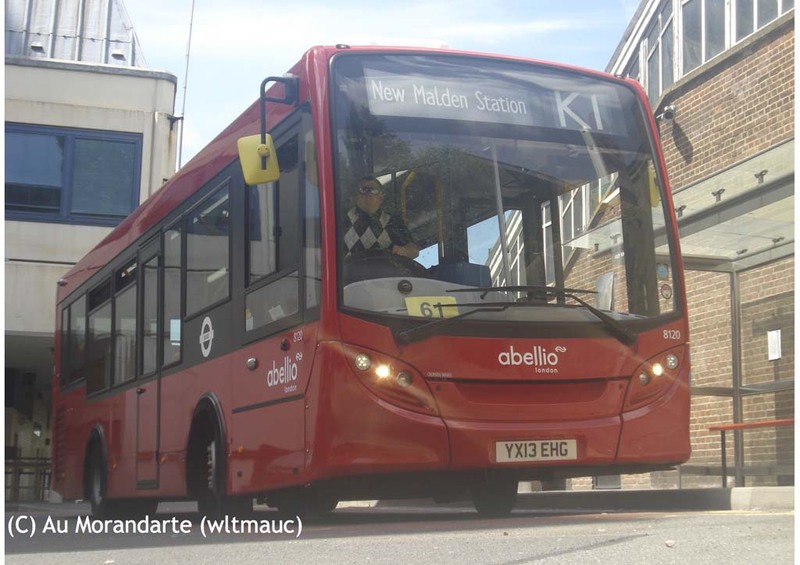 Further new buses arrived in 2008, then in 2013 the contract was lost to Abellio meaning new buses again! 8126 (YX13 EHN) pauses outside Cromwell Road bus station in Kingston on 2 July 2013, presumably having just set down passengers at the end of a journey from New Malden despite what the blind says. The K1 has always been restricted to shorter buses because of parking issues during the evenings on the Sunray Estate section of route, but as the following view shows the route is extremely busy and could really do with larger buses, or a frequency increase. 8119 (YX13 EHF) passes through Surbiton on its way to Hook and the estates on the first day of Abellio operation, 29 June 2013. Note how the wheel arches are equipped with brushes! 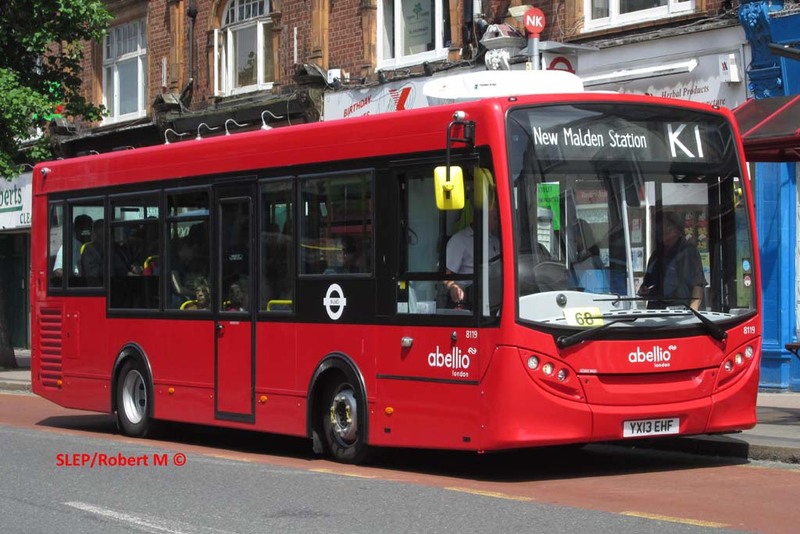 One minor change which occurred a few years ago was a short extension in New Malden from the aforementioned roundabout to the station forecourt – not a very exciting place, as the picture of 8120 (YX13 EHG) there, again on 29 June, demonstrates! Ironically, only 2 days later the route was removed from the forecourt for about 6 months, because of works to install lifts at the station. Initially a lengthy detour to stand at Darley Drive was put in place, but a shorter terminal working via Howard Road has subsequently been adopted. Lastly, the inevitable odd working, as an older MPD type bus in the shape of 8111 (SN04 EFJ) was snapped in the same spot as 8119 above, on 12 July 2013, and again has quite a heavy load.